Although I never really got into the "half and half" thing (also common with Chinese takeaways, by the way), I do really enjoy chips with curry sauce. It's not something you really see in London, but lots of chippies in the North seem to do it - whether in Liverpool, Manchester, Leeds, Newcastle... everywhere, really. If you've never tried it, it's nothing like Indian curry - it's a milder, sweeter sauce, almost yellow in colour. 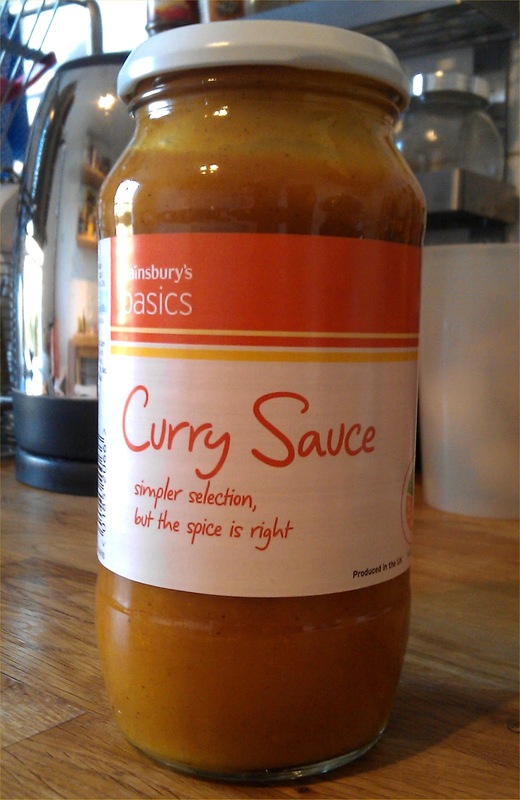 So, if the chip shop won't give me curry sauce, I'll have to find some from elsewhere. So what's the best curry sauce to smother your chips with? I looked at two options. This stuff is available from pretty much any Asian supermarket. It comes as a solid block, which you mix with water and heat up. The resulting sauce is smooth, thick, and rich in flavour. An excellent substitute for chip shop curry sauce - but at £3 a packet, it is not cheap. Not so long ago, this stuff cost something ridiculous like 10p a jar. Even at its current cost of 26p a jar, they can't be making any money on this. It is a bit sweeter and creamier than the Japanese sauce, but still a reasonable approximation of chip shop curry sauce. I would pick out the sultanas though, which in my opinion are quite unsuitable for our purposes here. The Sainsbury's sauce doesn't taste quite as good as the Japanese sauce, but at this price, it has to be a clear winner - and it's much simpler to prepare too. It's also great for making coronation chicken if you mix it with some mayo! Chips & curry is very northern! But my local chippy in SW London, before it closed, used to do it. 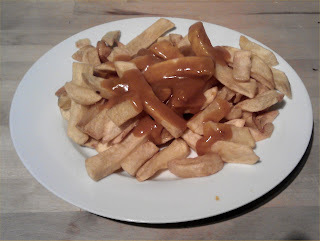 It also did that other northern classic: chips & gravy. Talking of curry-related filth, have you ever had a chicken balti pie? Maybe you could rustle that up for a future post?